Ambassador Town Center has brought a number of new businesses to Lafayette, including Costco, 5 Below, Chuy’s, and Red Robin. We’ve also seen a number of Lafayette restaurants close up recently, like Guidry’s Reef and Acme Taco. The ever – changing landscape of Lafayette got me thinking about those businesses that have left the Hub City over the years. Here are five I’d like to see return. While there are many delicious, locally – owned donut options here in Acadiana already, with Ricky Meche’s donuts legendary treats at the top of the list, you can’t really ever have too much of a good thing. Krispy Kreme’s donuts are different enough to exist alongside all the others in the area, giving donut lovers even more options. Maybe Krispy Kreme could return somewhere on Ambassador near the Acadiana Mall, or maybe the UL Campus? Not much beat a delicious Bennigan’s Monte Cristo and a cold beer when I was in college. If you’ve never had or have never heard of a Monte Cristo, it’s a turkey and ham club sandwich on honey wheat bread that’s battered and fried, then dusted with powdered sugar. 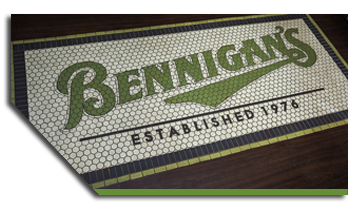 Bennigan’s paired this wonder with their crunchy fries and raspberry preserves for dipping. There are plenty of videos that will teach you how to make your own Monte Cristo, but I’d much rather have Bennigan’s make it for me. Did I mention they also had a delicious honey mustard dressing? For years, I thought Pancho’s had closed for good everywhere, but there are 9 locations still going strong in Texas. I think it’s time to raise our flag and let them know we’re ready for more Pancho’s. We ‘old timers’ can remember a time when the Acadiana Mall not only had a food court, but also, full restaurants. I have fond childhood memories of Morrison’s Cafeteria and fond high school and college memories of TGI Fridays. Fridays was located in the west entrance of the mall, now home to Alexander Art Studio. I always either got a Friday’s flatbread or their delicious New York cheddar and bacon burger. TGI Friday’s has competition from other, similar restaurants, but I say there’s plenty of room for them to return. Maybe I’m just overly nostalgic, but I miss the days of going to a Blockbuster video store. Instead of just searching an onscreen library of movies and TV shows, you were surrounded by thousands of DVDs and video games. There’s something special about that, as well as talking to an actual human being who also loves movies and can make recommendations. Lafayette could support a smaller Blockbuster for dedicated movie fans, maybe adding a place to sit and hang out. A good location might be the Acadiana Mall. I know Krystal was back for a short time in Breaux Bridge because I made a number of trips there to get some of their bite – sized burgers. I’ll always be a Krystal fan, and hope that we’ll maybe see Krystal make a comeback somewhere in Acadiana. Maybe a Krystal would do well in the food court of the Acadiana Mall?